Wearing braces takes time, but if all goes well the changes to your smile will be well worth it. In the meantime, though, you’ll have to contend with one particular difficulty—keeping your teeth clean of disease-causing, bacterial plaque. 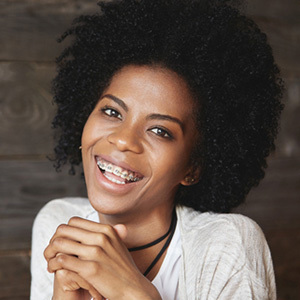 Don’t worry, though—while keeping dental disease at bay with braces can be challenging, it is doable. Here are 4 tips for minimizing your chances of tooth decay or periodontal (gum) disease during orthodontic treatment. Eat less sugar. Like any living organism, bacteria must eat—and they’re especially amenable to sugar. The more they have access to this favorite food source, the more they multiply—and the greater your risk of tooth decay or gum disease. Eating fewer sugary foods and snacks and more dental-friendly ones helps restrict bacteria populations in your mouth. Brush thoroughly. 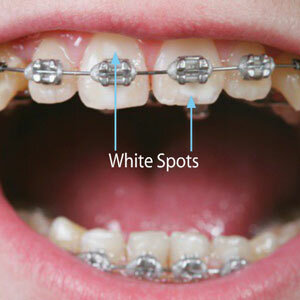 Brushing with braces can be difficult, especially in areas blocked by orthodontic hardware. You need to be sure you brush all tooth and gum surfaces around your braces, including above and below the wire running through the brackets. A soft multi-tufted microline bristle brush is a good choice for getting into these hard to reach places. Brushing around braces takes more time, but it’s essential for effective plaque removal. Use flossing tools. Flossing is important for removing plaque from between teeth—but, unfortunately, it might be even more difficult to perform with braces than brushing. If using string floss proves too daunting consider using a floss threader or a similar device that might be easier to maneuver. You can also use a water irrigator, a hand-held device that sprays water under pressure to loosen and flush away between-teeth plaque. Keep up regular dental visits. While you’re seeing your orthodontist regularly for adjustments, you should also see your general dentist at least every six months or more. Besides dental cleaning, your dentist also monitors for signs of disease and can prescribe preventive measures like antibacterial mouth rinses. Of course, if you see abnormalities, like white spots on your teeth or red, puffy or bleeding gums, contact your dentist as soon as possible. The sooner a problem can be addressed the less impact it may have on your orthodontic treatment and overall oral health. 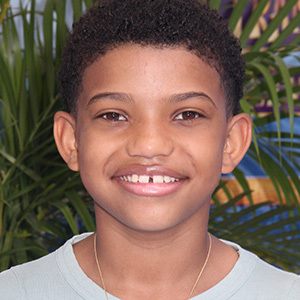 After months of treatment we’ve removed your braces and your new smile emerges. Upon closer view, however, you notice a number of chalky white spots on your teeth. These pale areas are white spot lesions (WSLs), the result of mineral breakdown from the long-term contact of acid with the enamel surface. The underlying cause is built-up bacterial plaque due to inadequate oral hygiene, and as such WSLs are the beginning stages of tooth decay. While anyone can develop WSLs, brace wearers are highly susceptible because of the extra care required to clean around orthodontic hardware. Poor dietary habits such as frequent snacking on sugary or acidic foods and beverages also increase the risk of WSLs. To reduce the risk of developing this condition, brace wearers must give extra attention and effort to daily oral hygiene, including brushing and flossing. The extra effort required in brushing can be aided by specialized toothbrushes designed to clean around brackets and wires, along with prescription-level fluoride toothpastes for added enamel strength. Floss threaders or a water flosser, a device that uses pulsating water under high pressure, may help you maneuver around hardware to remove plaque between teeth. It's also important to maintain a healthy mouth environment by limiting intake of sugary or acidic snacks and beverages, avoiding tobacco or excessive alcohol or caffeine, and drinking plenty of water to keep your mouth from drying out. If you’ve already developed lesions, it’s important to stop the decay process before it causes more damage. One way is to assist your body’s natural mechanism for re-mineralizing tooth enamel with fluoride pastes or gels or re-mineralizing agents, or undergoing micro-abrasion to repair a tooth’s surface. To improve a tooth’s appearance a procedure known as “caries infiltration” involves injecting a liquid tooth-colored resin into the lesion, which is then hardened with a curing light. The spot becomes less noticeable and appears more like normal enamel. For extensive defects, conventional bonding with composite resins or porcelain veneers can be used to cosmetically cover the tooth. Getting ahead of the problem with effective oral hygiene and good dietary and lifestyle practices will keep WSLs at bay while you undergo orthodontic treatment. If they do develop, however, there are ways to minimize their effect and restore the look of your teeth.